There are a few inevitabilities this summer: You're going to fire up the grill. You're going to complain about the heat. And you're going to want to drink some beer... probably while grilling and complaining about the heat. Pretty much every brewery in America offers up something special in the summer. These are our favorites right now, available in cans and bottles and just waiting to get chucked into your cooler. One of the hardest selling points of a pilsener is that it's supposed to be super easy to drink while still being more than just fizzy yellow water. Jeff "Chief" O'Neill, the founder and head brewer over at Industrial Arts, knows this (among other things), which is why his baby-faced brewery is so good at pumping out dynamic beers like Metric. A bright, breezy citrusy nose starts off before grassy, light malty flavors hit your tongue before ending with a crisp, dry finish. It’s an epic after-work beer, a perfect BBQ cooler go-to, and ideal hiking trail tag-along for warmer weather. If you live in Florida, the concept of “summer weather” is probably something that makes you laugh. This Berliner Weisse made with blackberry, cherry, and boysenberry ticks off all the boxes on the refreshment checklist: tartness, fruity aromas and flavors, a refreshingly low ABV, and a bright purple hue (OK, maybe that last part isn’t on the checklist, but it evokes memories of Prince, which is cool) are all in attendance here. It’s also an excellent converter sour for any of your friends who still claim to hate drinking beer. Regardless of your stance on hoppy beers, there’s just something about warm weather that makes IPAs more palatable than usual. Free Will’s assertive take on the most emulated style on the market deserves your consideration when your craving for a dank, juicy beer hits. If the “Wall of Sound” had a flavor equivalent, it would be the hop bill on this beer, which uses five different varieties (Citra, Simcoe, Warrior, Columbus, and Calypso, to be exact) to create a harmoniously tropical, piney, and bright flavor profile with a clean, dry finish. Hoppy as hell? Absolutely. But that’s what you signed up for, isn’t it? Down this one alongside a burger fresh off the grill for a perfect pairing. Ask any brewer and he’ll probably tell you the only thing better than a punny beer name is a meta punny name. But wordplay aside, this DIPA has more going on than you might expect, with vibrant tropical fruit flavors (thanks to the Motueka and Galaxy hops that take center stage here), a well-hidden 8.2% ABV, and a long, bitter dry finish that makes it all but too easy to take another sip. When drunk fresh, this is still a standout in a crowded style category. This may come as a shocker to a few people, but there’s no rule anywhere that says you can’t drink delicious darker beers in the summer. In fact, there’s more than a few good reasons to go for a malt-driven brown ale like Foundation’s Burnside: Flavors of cocoa, coffee, and roasty malts are the perfect companion to a lot of your favorite grilled foods, the full-bodied mouthfeel (thanks to the use of Maine-grown oats) is a welcome break from the thinner, lighter bodies of other summer seasonals, and its dry finish is as refreshing in the heat as any pilsner or session IPA. How do you convince someone who stubbornly believes that all dark beers are thick, syrupy palate bombs that they’re wrong? By pouring them a Perrin Black on a warm summer night. Against all visual indicators, this beer is an incredibly easy drinking, light-bodied beverage with plenty of roasted coffee and chocolate flavors that breeze over the palate rather than soak it. We offer this up as a legitimate respite from the breezy, fruity beers that dominate the shelves from May through August. It also doesn’t hurt that this beer is also affordably priced (especially for its quality). There was a while where it felt like this beer only had a mythical existence, simply because you just couldn’t find it anywhere. Luckily for everyone, it appears that this once unicorn has stepped into the limelight for the 2017 season, and boy, are we happy about it. 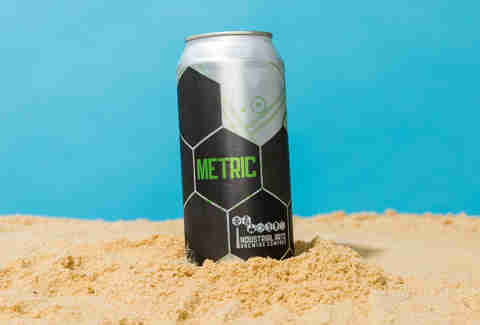 As a blend of three summer superlative styles (kolsch, gose, and Berliner weisse), it hits all the marks as a bright, tart, citrusy session beer with well-integrated saltiness and flavors of Key lime and subtle pineapple. 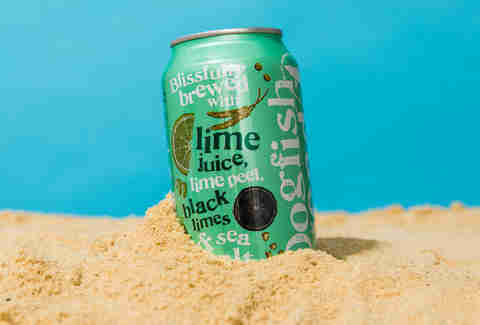 It’s a beach party in a can, folks. 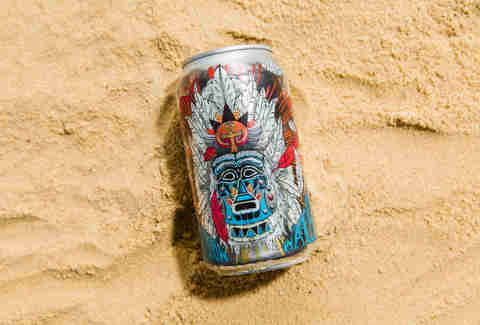 Oskar Blues' new summer offering takes its cues from the juicebox-y fruit IPAs dominating shelves, but this one kicks it up with a blast of ugli fruit and yuzu to create something completely different, which is really saying something considering the relative unpredictability that OB traffics in. It's an essential hot day IPA that chills out on the bitterness to create something sweet, citric, and alarmingly refreshing. It's also just a hell of a lot of fun to say. North Coast is perhaps best known for its jet-black, high-impact Old Rasputin Russian Stout, but this limited-edition gem is a must-grab... and grab immediately, since it's super-limited edition. It's bright pink like a rosé (so hot right now!! ), but the flavor here is a lot more like a boozy cherry pie filling spiked with German brewing traditions. It toes the line between a sour and a slightly sweet fruit beer better than most anything on the market, and is about as refreshing as it is complex. Also, it's pink, so you have a great conversation starter for all those people sipping on rosé. Let’s be honest: It’s really hard to make just one summer pick from one of the best breweries in the best beer town in North Carolina. While we can’t wait for our next can of Surf Wax IPA, and even though we love changing things up with the surprisingly refreshing Bolo Brown, Burial has really hit summer perfection with their kolsch. Even as a style that’s predisposed to being a warm weather go-to, every note seems to have been hit, from the subtle white dough undertones, underlying white wine-like vinous fruit qualities, and bright, citrusy hop-kissed flavors that all lead to a smooth finish. It’s a summer sipper with depth that you could serve to practically anyone. Fremont is one of the best damn breweries in Washington, and considering that the hop-dominating state is bursting at the seams with great breweries, that's really saying something. Its annual summer ale is a must have, and a beer that never seems to taste the same year after year. This batch is crisp, piney without being overpoweringly bitter and fruity without dipping into fruit punch territory. It's a beautifully crafted pale that would taste good no matter the season... though when the sun's shining, you'd be hard pressed to find a better beer coming out of hop country. 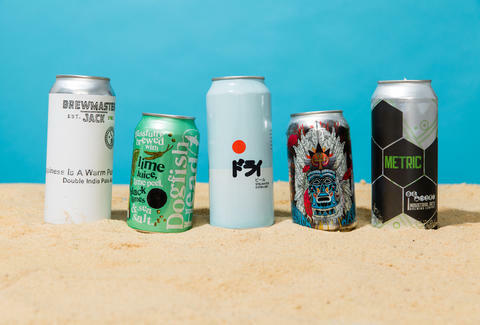 If you’re looking for something that will both taste great and make you stand out at the rooftop party, Stillwater’s got a beer with your name on it (well, not literally, but the can itself will probably make most people assume it’s from Japan). 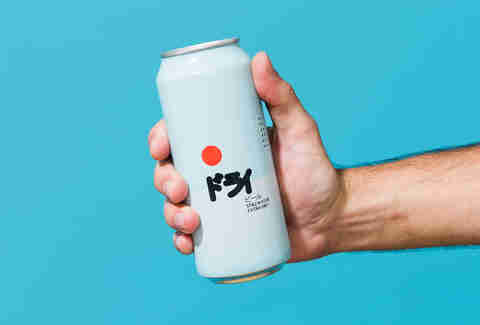 If pilsner and saison shacked up and had a baby, it would taste like this insanely refreshing beer: Thanks to the sake rice being used here, the finish product is in fact, as the name would suggest, extra dry, with white pepper, crisp citrus, and subtle herbaceousness, bucking the tired trend of a pale lagers and watered-down IPAs as the default beers of summer. Barleywines are cold weather beers through and through: Spicy, thick, and powerful, they're the very definition of a winter warmer. So you'd be forgiven if you came across this Washington newcomer's summer barleywine and reacted with confusion. And yet this is the perfect pairing for a chilly summer night. Best enjoyed by a campfire, it's got hints of oak from its stay in bourbon barrels, kicked up with fruit, malt, and a little spice. 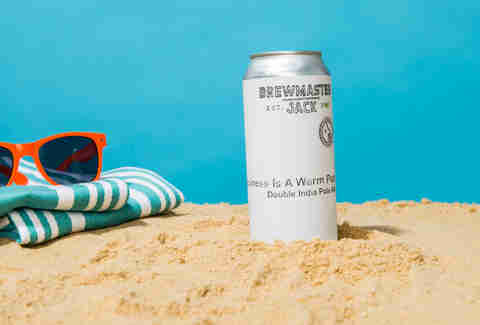 We never thought we'd say it, but we just found the best barleywine for summer, though we wouldn't blame you for keeping it hidden until the winter... if you can. Hop Slice is not a new offering from one of Oregon's best breweries, though it's safe to say that when summer rolls around you're in for an unexpected surprise with each variation that kicks out of Bend. This is a summer seasonal answer to Jubelale (Deschutes' beloved winter ale), forged at the crossroads between an amber and an IPA, kicked up with some highly citric Lemondrop hops to create a beer that functions as a session and a sipper. This is an essential beer for riverside drinking. New England-style IPAs are just *everywhere* these days, which can make cutting through the noise of which beers are just trend chasing and which ones are actually delicious pretty difficult. 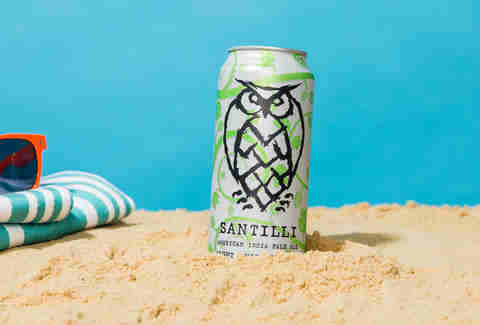 Night Shift’s canned darling falls firmly into the latter category: Santilli is as dank and hazy as the green room (ha, unintentional wordplay there) at a Snoop Dogg concert, with bright, tropical flavors of mango and grapefruit buoying the palate beyond bitterness before a clean, bright, dry finish. It’s as complex as it is comforting, making it a good everyday IPA for beach trips and backyard parties alike. If you haven't yet converted to the gospel of Portland's Breakside, you're missing out on an awful lot, especially considering that the brewery kicks out more than 100 different beers every year, from chili stouts to barrel-aged sours. The Passionfruit Sour is the essence of Breakside in a bottle, a non-cloying sour laced with sweetness from its namesake fruit that could well be the best beer out there for converting naysayers to sours... if you can bring yourself to share. Thrillist senior editor Andy Kryza lives in Portland, Oregon, but really misses Michigan cherries in the summer. So, um, thanks, North Coast! Follow him on a quest to find Superman ice cream beer @apkryza.